As you all know, I try to keep my Sunday baking for the coworkers healthier in January to avoid sabotaging any start-of-the-year health goals. This usually means whole wheat flour in cookies and cakes, using alternatives to butter and eggs as much as possible, and trying to be liberal in my interpretation of “treat” to include non-sweet alternatives like crackers. Most of this month’s baking has been from Heidi Swanson’s book and blog, which do at least half the work for me by emphasizing whole grains, less-refined sweeteners, and creative uses of health-minded foods. 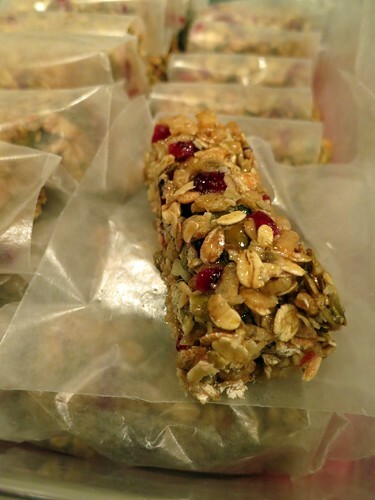 These cereal bars are a great example: chewy and tangy from the fruit, crunchy from the rice cereal and nuts, and incredibly handy for grabbing on your way to work or school. 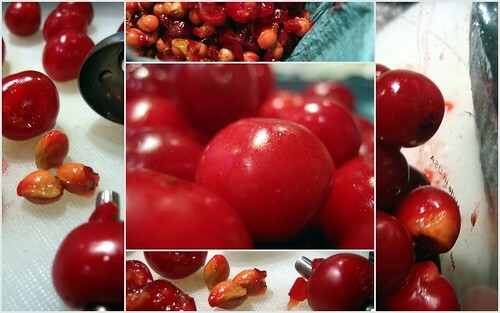 The pops of green from the pepitas and red from the cranberries make them as appealing visually as they are tasty. They’re also vegan, and they’re gluten-free if you use all oats as originally written instead of the multigrain cereal (which includes wheat, rye and barley). Grease a 9 x 13 inch baking pan with the coconut oil. Toast the pepitas in a dry skillet over medium-low heat, tossing frequently to prevent burning, until they’re fragrant, just starting to brown and making the occasional popping noise. Chop them coarsely and set aside to cool slightly. In a very large bowl, toss together the multigrain cereal, rice cereal, oat bran, coconut and dried fruit. Once the pepitas are no longer hot, add them to the mix. 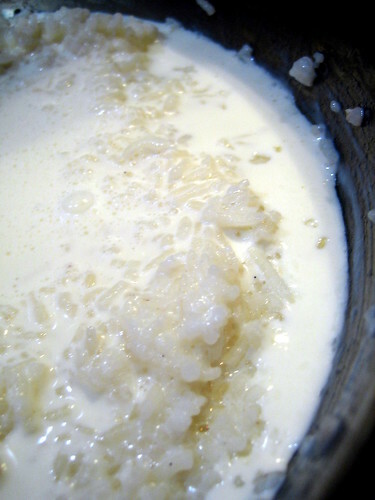 Combine the rice syrup, sugar, salt and ginger in a medium saucepan and bring to a boil, stirring occasionally. Simmer for a few minutes, until it thickens a bit. Off the heat, stir in the vanilla, then pour over the cereal and fruit mixture and stir with a spatula until everything is well coated. Pour the mixture into the greased pan and press it down well. (The flat greased bottom of a 1-cup measure is especially effective at helping you achieve a firm, even block.) Cool to room temperature, then turn out onto a sheet of parchment paper and cut into 1×3 inch bars. The bars keep well in sealed containers for about a week, and should keep even longer tightly wrapped in plastic and kept in a zip-top bag in the freezer. Brown rice syrup is unbelievably sticky stuff, so it helps to coat the measuring cup with coconut oil before pouring it in. 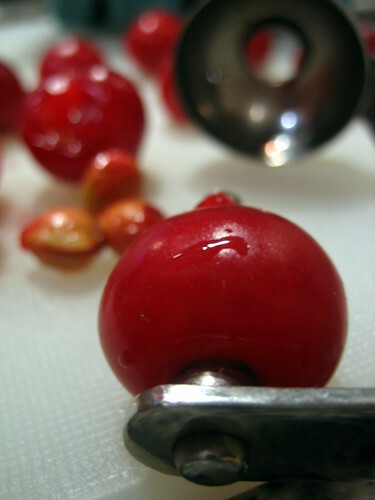 Similarly, if you rub the blade of your knife with a thin layer of oil, it will make chopping the cranberries and ginger much easier, and likewise slicing the finished bars. If you don’t care for the stronger flavors of rye and barley in the multigrain cereal, you can substitute the same amount of old-fashioned rolled oats. 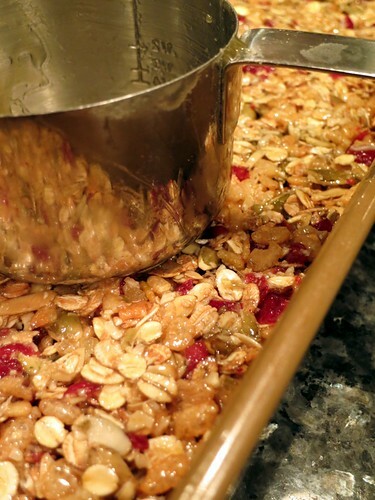 You can also switch out the dried fruit and nuts to your liking, e.g. cherries and slivered almonds would be lovely too, although in that case I would probably leave out the candied ginger and use cinnamon in the syrup instead. I found it useful to individually wrap the bars in wax paper for transport purposes, to stop them from sticking to each other or anything else. It also made them neater to eat. This Sunday baking entry is not exactly unexplored territory, since I’ve already used the same base to make a mocha-flavored cookie — appropriately enough during the last round of being stuck indoors thanks to my winter curse. Still, I wanted to share it given that my current crop of co-workers dubbed these “the best you’ve made yet”, and because, while the basic inspiration might be the same, they’re actually quite different. The other one is more snappy, with a very strong mocha flavor, while this one is a proper crumbly shortbread, dominated by butter and just kissed with coffee and chocolate. It’s an interesting example of how you can manipulate the underlying mechanics to get distinct, but equally good, results. These cookies are also a good lesson on how one ingredient can make a huge difference in the outcome. 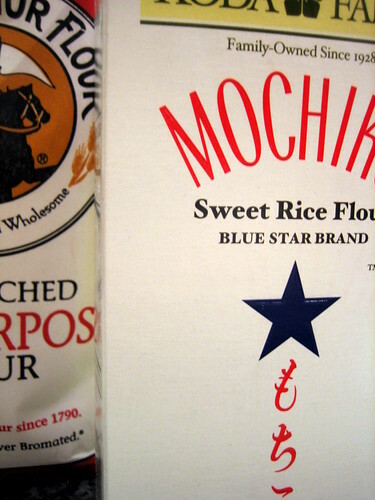 I had my usual rush of impulsiveness during our last visit to the Asian market, and among the items I picked up was a box of rice flour. 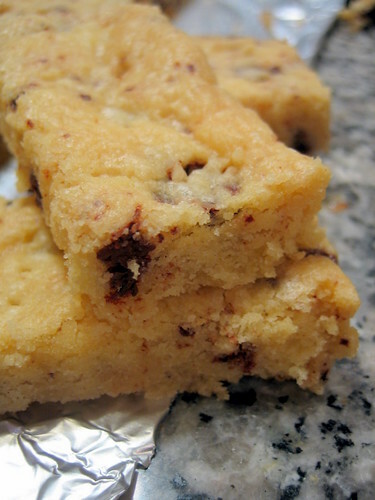 Being gluten-free, rice flour gives baked goods a velvet tenderness that you could never get otherwise, no matter how gently you treat the dough and how carefully you avoid over-mixing. While leaving the shortbread plain lets you focus like a laser beam on the perfection of its texture, I couldn’t resist adding a chopped-up Scharffen Berger Mocha bar, picked up during my annual crazed shopping spree at the San Francisco Ferry Terminal market. The slightly bitter edge of the coffee, coupled with the buttery plushness of the shortbread, makes for a very not-for-kids cookie. If you don’t have easy access to the full Scharffen Berger line (as I stupidly don’t, despite being in driving distance of the corporate candy overlords that bought them out) you could use any kind of good-quality dark chocolate bar, flavored or not. I suspect an orange-flavored one would work particularly well. Line a quarter sheet pan with aluminum foil. Dice the butter into the bowl of a standing mixer fitted with the paddle attachment. Add the brown and granulated sugars and the salt, and beat on medium until light and fluffy. Beat in the vanilla. Whisk together the flours and add to the creamed butter. Mix on medium-low speed just until combined, then stir in the chocolate bits. Turn the dough out onto the foil-lined pan, and cover with a second piece of foil. Press down on the foil with your palms and fingertips to squish the dough into an even layer. (If you have a second sheet pan, you can place it over the foil and use it to get a really uniform result.) Using two forks or, better yet, a chipper, thoroughly dock the dough at even intervals. Remove the top layer of foil and place the pan in the freezer while the oven is preheating to 325 F.
Bake until the edges are turning golden and the center looks firm, approximately 30-35 minutes. 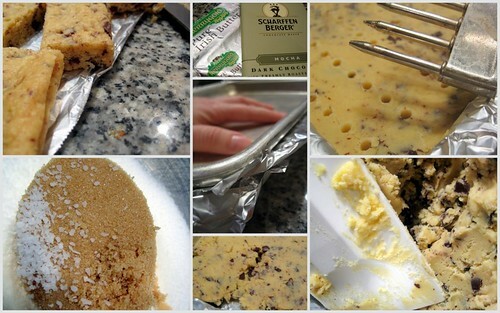 Cool the pan for 5 minutes, then carefully use the edges of the foil to lift out the shortbread. Using a serrated knife, slice the shortbread into 48 fingers 2 inches long and 1 inch wide. Set the cookies on a rack to cool completely. The cookies will keep for weeks in an airtight container, although they’re best within a day or two of baking. As with all shortbread, the quality of the butter is key because there is so little to compete with it. Buy the freshest, highest-quality you can. If you can’t find rice flour, substitute an equal amount of cornstarch, which will give a slightly different but still wonderfully delicate result. You could also just use all-purpose flour, but you’ll end up with a less satiny texture. I no more hold with New Year’s resolutions than I do with the stupid, pointless holiday itself, but I do find myself wanting to eat slightly healthier this time of year purely out of fat and sugar fatigue. The impulse will wear off by the next major holiday (either my birthday or Chinese New Year, depending on the year), I assure you. Until then, this is one of my favorite dinners, just right for these post-holiday, undo-the-damage, back-to-work busy days. Lentils are healthy and frugal, so if you are the sort who makes resolutions about either diet or finances, this fits both bills. If you’re also of a superstitious bent, Italians eat lentils in order to attract prosperity in the new year, and since all the economic signs point to a crappy 2009, it might not hurt to try observing the tradition. 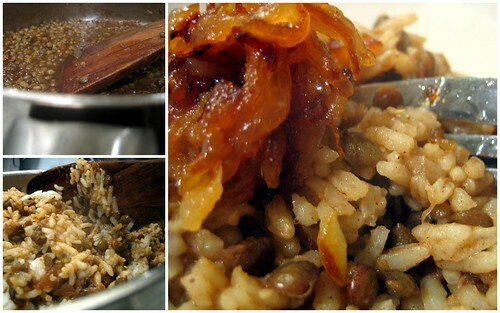 This is a lazy modification of mujaddarah, a lentil, rice and caramelized onion dish found around the Levant. To save time, and also because I utterly adore and completely depend on it, I cook the rice separately in the rice cooker while I make the lentils and onions on the stove, then I mix the two together in roughly equal proportions. 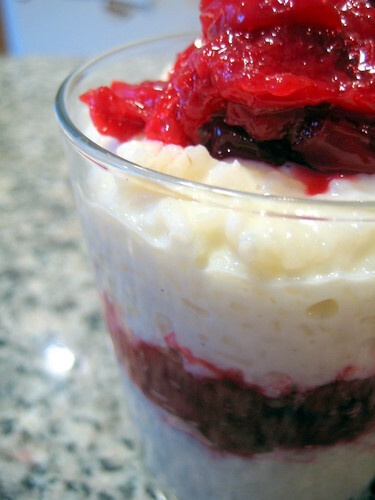 Doing it this way also means that any extra rice is plain and therefore suitable for other uses — say, rice pudding, if your holiday crapulence recovery time is quicker than mine. This is a wonderfully satisfying main course with or without the optional garnish of hard boiled eggs, and it also makes a great side dish for a simply roasted chicken, fish, or other protein if you’re not a vegetarian. Cook the rice with several pinches of salt and the allspice berries in a rice cooker or on the stove, as you prefer. 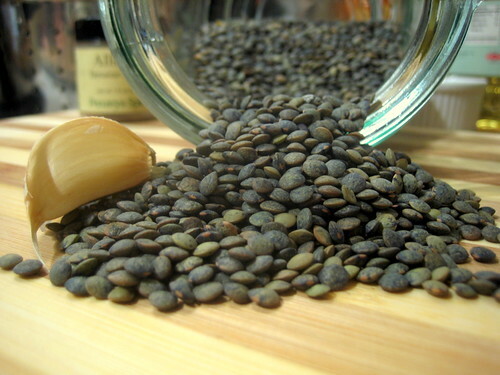 Combine the lentils with the garlic and bay leaf in a medium pot. Cover with water, bring to a boil. Reduce heat to a vigorous simmer and cook until tender, 20-30 minutes. Remove the garlic and bay leaf but do not drain, since the lentil liquid will be used for flavoring and moistening the rice later. In a large skillet, cook the onions in the olive oil over medium-high heat until completely browned and beginning to crisp at the edges. 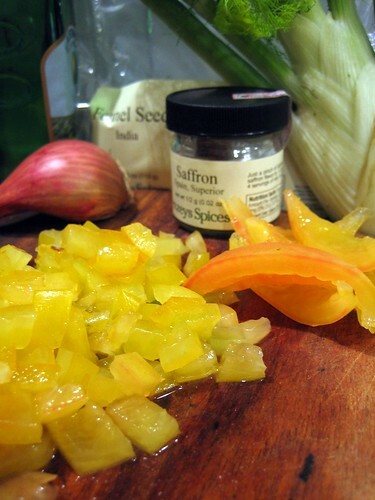 Set aside a few tablespoons of onions for garnishing the final dish, and add the ground allspice to the remainder. Deglaze the pan with 1 to 1 1/2 cups of the lentil cooking liquid, then drain the lentils and add to the pan with 1 teaspoon of soy sauce and several grinds of pepper. Turn off the heat and stir in half to all of the rice, depending on your prefered proportions. Add additional soy and/or pepper to taste. Serve topped with the reserved onions and quartered hard boiled eggs, if desired. 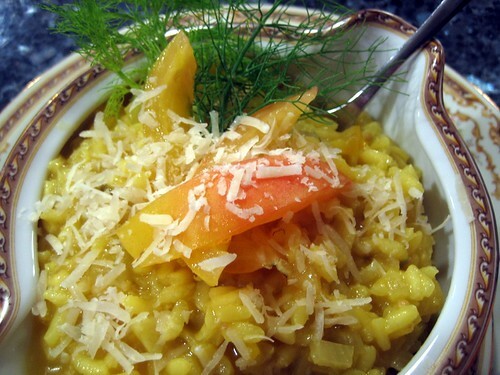 Soy is not at all customary in this dish, but it adds depths of flavor salt alone does not, and compensates for the fact that the lentils and rice didn’t cook together. No matter how many onions I caramelize for this dish, it never seems like too much, so if you’d like to up the quantity, you have my wholehearted blessing. Red onions or shallots will produce an even sweeter, darker garnish, but plain old yellow onions work fine. If you want to be exhaustively virtuous, you could use brown rice in place of the basmati. Longtime readers (Hi, Mom!) may recall The $12 Empanada Incident, in which His Lordship’s finely-tuned sense of food value was grossly violated by a single, tiny empanada of spinach, artichoke and Manchego cheese. Inexplicably priced at $12, this item, which would more properly have been labeled an amuse-bouche, greatly impacted what was otherwise a very enjoyable meal with my family. As I predicted, “$12 empanada” has been our household’s benchmark for restaurant gouging ever since. By that pricing logic, tonight’s dinner should be valued at least at $12, and if it did show up on Amada’s menu, where I think it would not be at all out of place, I’d wager it’d be closer to $20. This is particularly ironic given that it’s retooled leftovers of a pantry-clearing dish. For dinner last night, I tried out Mark Bittman’s tomato paella, in my neverending quest for a vegetarian paella that’s actually worth the bother, not to mention my desire to make inroads on a nearly-full box of arborio. I’m not sure this is the Holy Grail, since it still didn’t have all I was looking for despite the use of lovely ripe in-season locally-grown Jersey tomatoes, artichoke hearts and twice the optional amount of saffron, but it was quite nice and used half the box of rice. 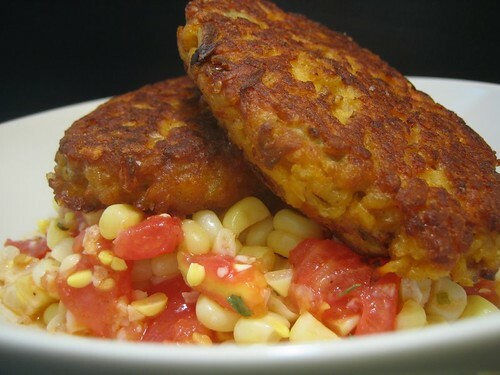 It also made a ton, and in an effort to stave off boredom, I thought of frying them up as cakes served over a salad of the remaining tomatoes and fresh corn. The rice being quite sticky on its own, it wouldn’t take much more than an egg or two to hold it together, but we also had a good-sized piece of Manchego, and when is cheese ever a bad idea? Certainly not this time. The cakes were crisp and savory, yet still lighter than the paella alone thanks to the added freshness of the salad. I love it when the leftovers are better than the original, and I love it more now that I’m completely out of sherry vinegar. I must render to His Lordship all the credit for the paella cakes, since the idea might have been mine but the flawless execution was all his. While he was mixing and frying these golden, crusty, priceless patties, I was mixing the salad and pureeing half a watermelon for the agua fresca/granita variations I’ll be putting up shortly. Mix together thoroughly the paella, cheese and eggs, plus additional salt and pepper as desired. Using two large soup spoons, form spoonfuls of the mixture into ten large oval patties. Cover the bottom of a skillet or frying pan generously with oil and set over medium heat. When the oil is hot but not smoking, add five (or as many as will fit without crowding) of the patties and fry until dark golden, 3-5 minutes on each side. Remove to a baking sheet lined with paper towels or brown paper bags and sprinkle lightly with salt. Repeat with remaining patties. Strip kernels from corn cobs and place in a large bowl. Core the tomatoes and cut into large dice, adding to the corn. Toss the corn and tomatoes with the oil, vinegar, herbs, and salt and pepper until well-coated. Taste and correct with more vinegar and seasonings as appropriate. To serve, build a bed of the salad in a shallow bowl and place two paella cakes on top of each mound of corn and tomatoes. If I’d had fresh herbs, the salad would have been that much better.